Below you fill find all funeral homes and cemeteries in or near Lake Mary. Suburbs of Lake Mary: Heathrow. 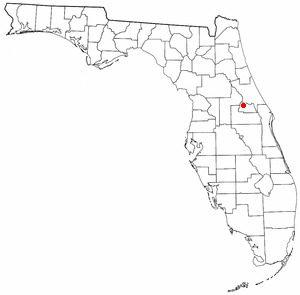 Lake Mary is also known as: Seminole County / Lake Mary city. Their current mayor is Mayor David Mealor. Zip codes in the city: 32746, 32795. Some of the notable people born here have been: (brendan rodgers (baseball)), (lee corso), (bart creasman), and (aubrey peeples). Lake Mary is a suburban city in Seminole County, Florida, United States. The population was 13,822 at the 2010 census. Lake Mary is part of the Orlando–Kissimmee–Sanford Metropolitan Statistical Area.Rated by Money magazine as the #4 best place to live in America in the August 2007 issue. It was disclosed by Orlando Sentinel on February 5th, 2019 that Carolyn Ruth Whelen perished in Lake Mary, Florida. Whelen was 78 years old and was born in Covington, KY. Send flowers to express your sympathy and honor Carolyn Ruth's life. It was written by Orlando Sentinel on November 25th, 2018 that John Phillip Kunzelmann passed on in Lake Mary, Florida. Kunzelmann was 88 years old and was born in Milwaukee, WI. Send flowers to express your sympathy and honor John Phillip's life. It was written by Orlando Sentinel on October 14th, 2018 that George G Giek passed on in Lake Mary, Florida. Giek was 81 years old. Send flowers to express your sympathy and honor George G's life. It was revealed by Orlando Sentinel on July 29th, 2018 that Robert Malone "Crusty" Rosemond passed away in Lake Mary, Florida. Rosemond was 93 years old and was born in Charleston, SC. Send flowers to share your condolences and honor Robert Malone "Crusty"'s life. It was noted by Orlando Sentinel on June 26th, 2018 that Carole Joan "Flea" Hawkins (Houchin) passed on in Lake Mary, Florida. Ms. Hawkins was 84 years old and was born in Cleveland, OH. Send flowers to express your sympathy and honor Carole Joan "Flea"'s life. It was revealed by Orlando Sentinel on June 13th, 2018 that Barbara Marie Miles (Robbins) perished in Lake Mary, Florida. Ms. Miles was 88 years old. Send flowers to share your condolences and honor Barbara Marie's life. It was written by Orlando Sentinel on June 12th, 2018 that Elaine Ann miss Parsegan passed on in Lake Mary, Florida. Parsegan was 85 years old and was born in Jersey City, NJ. Send flowers to express your sympathy and honor Elaine Ann miss's life. It was written by Orlando Sentinel on June 10th, 2018 that William Craig Daniel passed away in Lake Mary, Florida. Daniel was 72 years old and was born in Chicago, IL. Send flowers to express your sympathy and honor William Craig's life. It was written by Orlando Sentinel on May 10th, 2018 that Karen Russell-Kaufman (Russell) died in Lake Mary, Florida. Ms. Russell-Kaufman was 59 years old and was born in Houma, LA. Send flowers to express your sorrow and honor Karen's life. It was revealed by Orlando Sentinel on May 8th, 2018 that James L Rev Mitchell perished in Lake Mary, Florida. Mitchell was 97 years old and was born in Ashland, KY. Send flowers to express your sympathy and honor James L Rev's life. Lake Mary is part of the Orlando, Florida Florida Greater Orlando Statistical Area. As of 2006, the population recorded by the US Census Bureau is 14,718. [http://www.census.gov/popest/cities/tables/SUB-EST2004-04-12.xls]. Lake Mary is a city in Seminole County, Florida, United States. The population was 11,456 at the 2000 census. The official website for the city of Lake Mary is http://www.lakemaryfl.com/. Find embalmers & Embalmers in Lake Mary, FL. Read business reviews, find driving directions, and more. embalmers on YP.COM. Lake Mary Funeral planning made easy! Learn how to pre-plan your funeral in Lake Mary, Florida, including step-by-step directions. We work with local florists and flower shops to offer same day delivery. You will find budget sympathy flowers in Lake Mary here. Our funeral flowers are cheap in price but not in value.